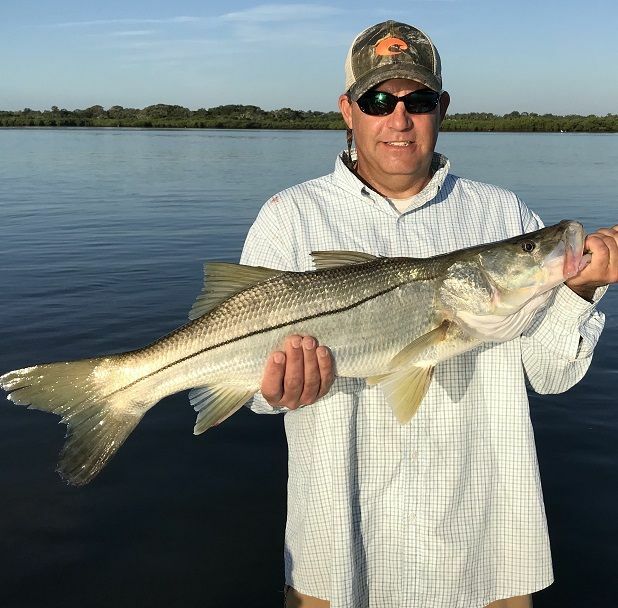 Summer 2018 is winding down with autumn right around the corner, the fall mullet and baitfish run begins in late August, inshore game fish begin to follow the bait down the coast as the run moves south, swimming towards south Florida where many of these fish spend the winter. 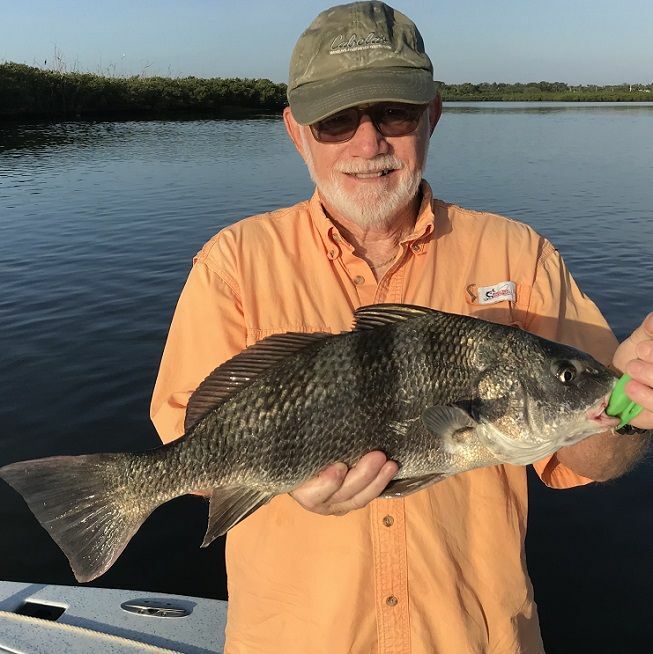 All this action is in our neighborhood during September, October, and November, schools of migratory game fish like Bluefish, Jack Crevalle, oversize Ladyfish, and Pompano join our year round resident fish Redfish, Seatrout, Snook, Mangrove Snapper, Black Drum, Sharks, and more, fattening up for winter eating the mullet, other baitfish and shrimp. 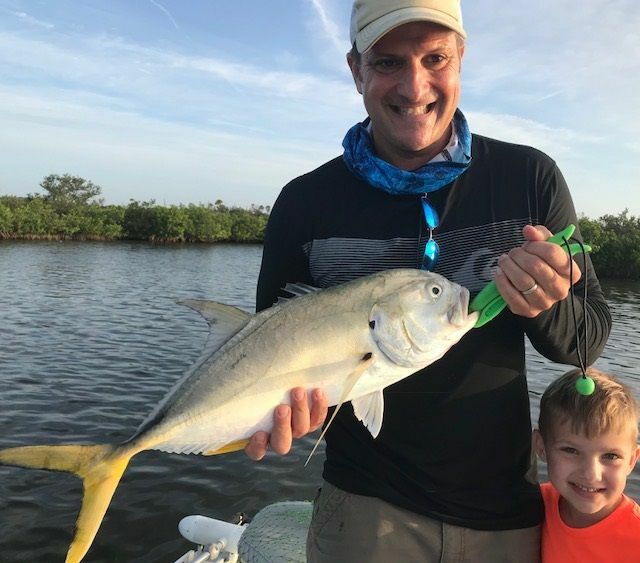 As the air and water temperatures begin to drop in the fall, it�s a pleasure being out on the water after our very long Florida summer, in the Indian River backcountry and Mosquito Lagoon, the catching action is steady with all the different species of fish, schools of finger size mullet frequent the waters surface as they migrate south with game fish busting them with white water strikes, making for fun and easy sight fishing casting into the action with usually fast hookups. 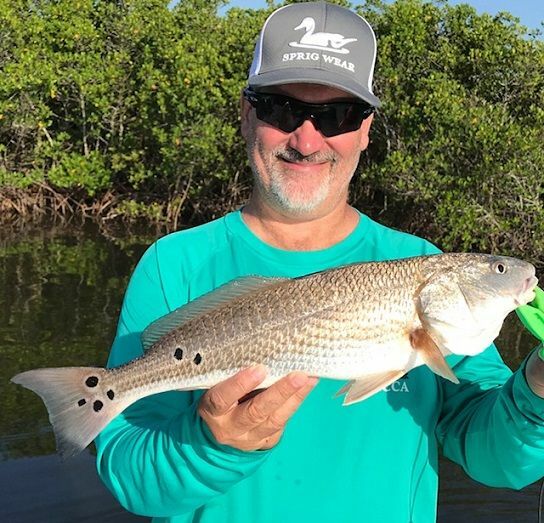 Backcountry variety mixed bag fishing usually lands many different species on each trip, sometimes some of all the available fish types that are in the area, and you never know when notable catch will bend our rods, new client Scott and his son from Maryland were out with me recentlyand Scott had the big hook up on light tackle and battled and CPR ( catch - photo � released ) this 32� Snook ��������. 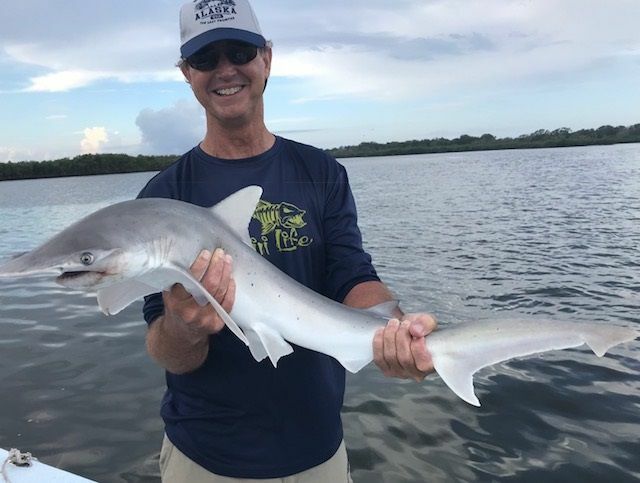 Never know when a back water Shark will bite one of our baits and they always put up a great fight on light tackle, Mike from Orlando with a 40� plus Shovelnose Hammerhead�������.. 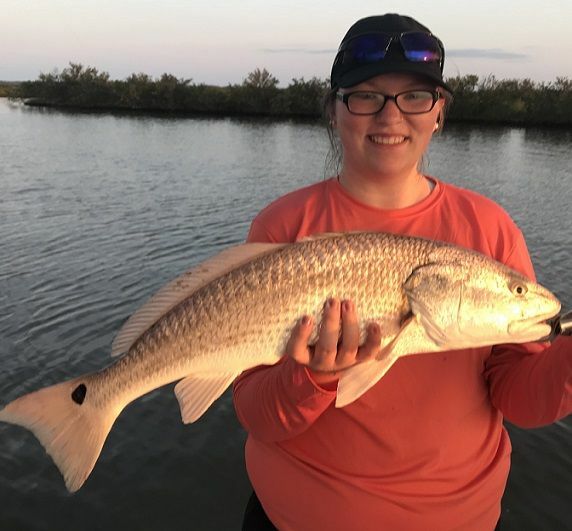 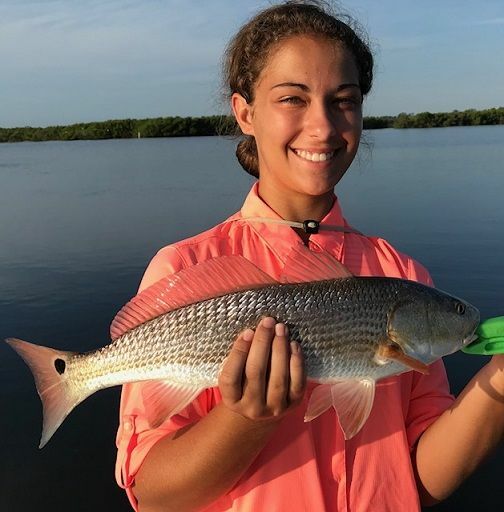 Interesting Redfish are out there swimming, here a 10 spotted Red caught by long time regular Jon from Georgia in the back country this summer on their annual family trip with me��������..
����...Jon�s daughter Mallory caught a back country slam, Seatout, Snook, and Redfish�������..
Jack Crevalle are almost every trip fun catches in different sizes here in the back waters, from 1 to 8 lbs, they are super hard fighters, bigger ones give an epic battle on my light tackle outfits, regular Orlando client Jason with a good one�����..
Black Drum are a year round catch here, average sized ones in the backcountry can be about 3 to 5 lbs, lurking on the bottom in small channels and holes, local repeat client David with a fun one�������.